One of the best known forms of water tube boiler is the Yarrow boiler, of which six examples are seen above in the maker’s works. These particular boilers were made for the Southern Railway Company’s cross-Channel steamers. 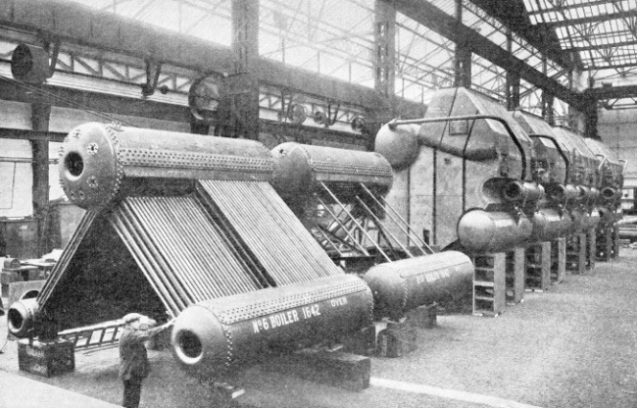 The two boilers at the left hand, which are only partly erected, show the principles of construction. Three steel drums are arranged at the corners of a triangle, the two bottom drums being connected to the top one by a number of straight tubes.